Now, I’m not here to tell you the 2017 Falcons defense is going to be an all-time great, but I am here to tell you that the 2017 Falcons defense will be much improved, and one of the most exciting defenses in the league in 2017. This defense really began to hit its stride the last few games, and the defense’s elevated play was one of the main reasons the Falcons were able to make the Super Bowl last February. The Falcons defense played great for three quarters of the Super Bowl against arguably the greatest QB of all time, but being on the field for over 40 minutes of game time would be tough for any defense to do, no matter who the opponent was. Ever since the Super Bowl collapse, the entire Falcons organization from upper management to the players and coaching staff has owned the loss and are working to learn from the experience. However, some Falcons fans fear of a potential Super Bowl hangover. 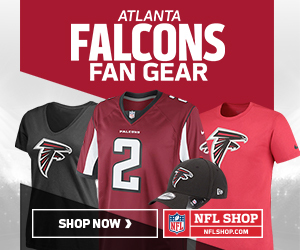 Fear not, though, loyal Falcon fans, the moves that GM Thomas Dimitroff and company have made since the end of the season have made me confident that Falcons have put last season behind them and are continuing to add pieces that can step in and contribute immediately, especially on the defensive side of the ball. This defense will be young and will still go through growing pains as it figures out how to play as a unit, but one thing is certain about the 2017 Atlanta Falcons defense – they will be FAST AND PHYSICAL! “Fast and physical” has been the motto of DQ since arriving in Atlanta in 2015 and its obvious by this teams play the last few seasons that they have bought into that motto. This revamped defense will continue to build on the momentum they had at the end of the 2016 season and hopefully that will translate into a rise up the overall team defensive ranking which saw Atlanta at 25th in overall team defense. The 2016 season was one filled with ups and downs for this young Falcons defense. The season had lots of bright spots to be proud of though. 2015 first round pick Vic Beasley Jr. led the league in sacks with 15.5 tallied, and 2016 draft picks Keanu Neal and Deion Jones were the only two rookies to register more than 100 total tackles. Rookie De’Vondre Campbell also made an immediate impact in his first year with the Dirty Birds. Another bright spot for this young Falcons defense was the emergence of 2015 fifth round draft pick Grady Jarrett. Jarrett showed flashes as a pass rusher, but really turned it on in the playoffs, specifically in the Super Bowl, where he sacked Tom Brady three times, tying the record for sacks in the Super Bowl. If Jarrett can carry that momentum into the 2017 season and solidify himself as a force rushing the passer, the Falcons could quickly have one of the more feared pass rushes in the league. The NFC South is as tough as it comes for defenses. With three QBs who are legitimate MVP candidates every year and Jameis Winston, who has proven he belongs in this league and in this division, it is important to have a steady pass rush and guys in the secondary that can cover. The Falcons secondary, when healthy, has the talent as a group to neutralize almost any offense. Desmond Trufant, Robert Alford, Jalen Collins and Brian Poole have all showed that they can play in this league and just need time together on the field to gel into a top secondary in the league. With Keanu Neal and Ricardo Allen holding down the safety spots, the Falcons should have a young and talented secondary to build around for years to come. 2016 was a mixed bag when it came to the Falcons defense, but I believe that this defense has truly bought in to what Coach Quinn and his staff have been teaching. If they can carry that momentum into 2017 season, they should be a whole lot of fun to watch. Getting stronger in the trenches priority number one for Thomas Dimitroff and Dan Quinn this offseason and they did exactly that. This offseason, the Falcons inked DT Dontari Poe and DE Jack Crawford to contracts to help boost depth along the defensive line. Poe, who was the Falcons prized free agent acquisition, signed a one year $8 million contract. Poe, the 2012 first round draft pick of the Kansas City Chiefs, will be expected to step in right away next to Jarrett and start at defensive tackle. Poe is a unique player and one that fits into the scheme that coach Quinn likes to run. Poe is a massive human, standing 6’3” and weighing in somewhere around 340 pounds, but Poe isn’t just a space eater. Poe is an amazing athlete not only for his size, but in general. He dazzled at the 2012 combine when he ran a sub five second 40-yard dash while also putting up 44 reps on bench press. Poe will be a welcome addition on this defensive front, with the ability to take on multiple blockers when needed or rush the passer, Poe will be a welcome addition to the defense in 2017. Crawford is another player who can immediately come in and contribute. Barring injury, Crawford won’t be called on to start, but his ability to stop the run and get after the QB will make him a valuable rotational player for the Falcons in 2017. Crawford didn’t post great numbers in his time playing for the Raiders and the Cowboys, but if the Falcons coaching staff can coach Crawford up, he could be a great rotational player. It was no secret that going into the 2017 draft the Falcons wanted to add an impact pass rusher as well as someone who could come in and compete for a LB spot. Well, the Falcons wasted no time in the draft when the moved up in the first round to draft pass rusher and new fan favorite Takk McKinley out of UCLA. He should fit in nicely opposite Vic Beasley when the time comes. McKinley was considered raw by many scouts coming out this past year, but he fits in perfectly with the “fast and physical” mantra. Raw isn’t a bad thing, though. McKinley has a non-stop motor and is relentless when it comes to getting to the pass rusher. McKinley’s effort and pure athleticism will help him contribute while Coach Quinn and his coaching staff continue to develop him as a player. McKinley is the type of person that you can’t help but root for. He is a high effort guy who wears his heart on his sleeve. He will give the Falcons 110% effort while also serving as a high energy guy. With the Falcons second pick in the draft, they addressed there need at LB by drafting another LSU LB in the third round. Duke Riley is a player who will pair nicely at WLB next to former teammate and first year standout Deion Jones. Riley, who was LSU’s leading tackler in 2016, will help continue the overhaul of the defense by adding another player who can play side line to side line. He posted a 4.58 40-yard dash at the combine and its no secret that he has a nose for the football racking up over 90 tackles his senior season for the Tigers. With their fifth round pick, the Falcons selected SDSU CB standout Damontae Kazee. Kazee is an undersized CB, but his ball skills and instincts allowed for him to record 15 interceptions over the past two seasons and has the ability to play both corner and safety. Kazee is a dynamic player with the ability to flip the field at any moment. Expect to see him contribute early on special teams as well as potentially working his way into the CB rotation and could fill in at FS if needed. Kazee provides the Falcons with a versatile defender and depth at one of the most important positions on defense. Its nice to think that the Falcons defense in 2017 will resemble one of the all time greats, but the reality is that while the Falcons defense will be fun to watch and much improved, they still are a very young defense filled with players without much NFL experience. One thing that the Falcons defense does have going for them is that they play on the same team as the best offense in the NFL. The Falcons defense in 2017 does not need to be perfect, but they should be good enough to create some turnovers and manufacture some stops to get our high-powered offense back on the field. I think this defense will be able to create more than its fair share of turnovers and turn itself into one of the more feared defenses in the league. So for all you Falcons fans worried about a Super Bowl hangover, I’m here to tell you that will not happen, this roster is too talented to let that happen, and I see the Falcons continuing to secure themselves as the class of the NFC! RISE UP!